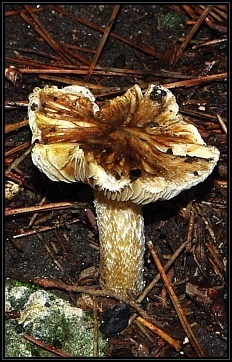 Description: Scattered, medium sized agarics, terrestrial under Pinus halapensis. 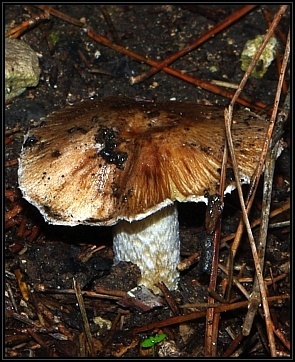 Pileus: Convex to flat, with upturned margin as the carpophore ages; splitting, dry, fibrillose, silky, coloured pale yellowish brown darker near centre; 25-50mm diameter. Stipe: Fleshy, white, straight, pruinose, sometimes rectangular; 30-70mm x 6-12mm. 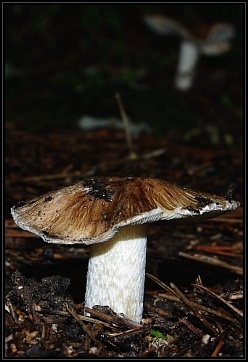 Gills: Close to crowded, initially white changing to brown, emarginated. 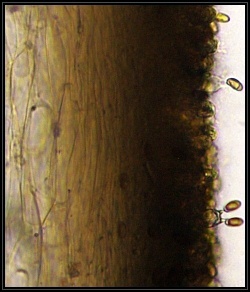 Pileipellis: Filamentous with short protruding hyphae. 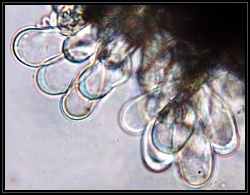 Stipe: Elongated hyphae (caulocystidia) with several irregular hyphae on stipe. Clamp connections present. 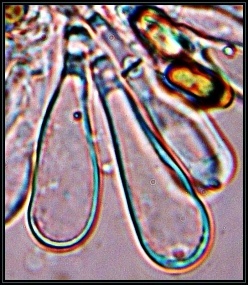 Gill trama: Regular to subregular, with inflated hyphae in the centre. 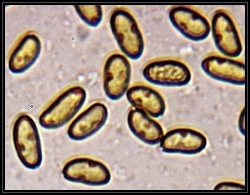 Cheilocystidia: Abundant as elongated to clavate without crystal deposits, in bundles.